Look and perform like a knockout in our high-impact sports bra and breathable mesh-paneled, high-waisted capris. 83% of members who purchased the Misa 2-Piece Outfit recommend it. Love the style and feeling of this bra. It's a bit snug but ordering a size larger would have probably helped. 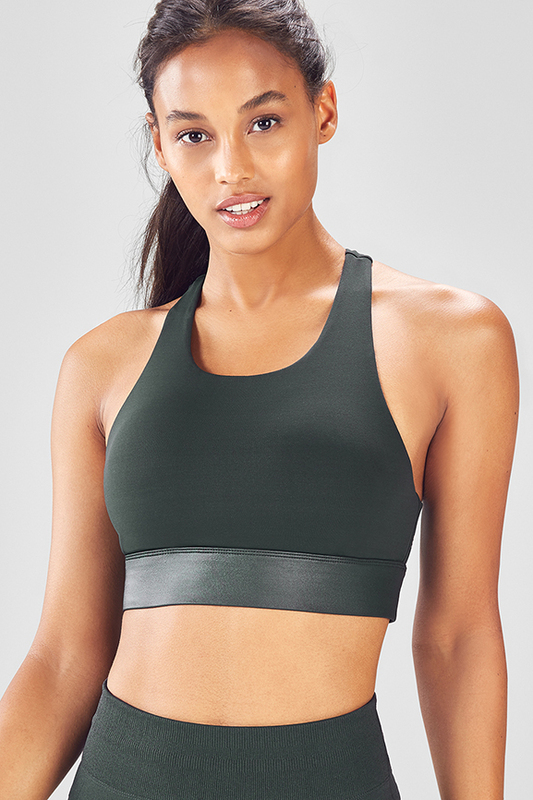 This sports bra, besides being super cute is very supporting and comfortable. 10/10 would recommend to a friend, the material is not cheap and is very much worth the money! Love the green color and the bra is actually very comfortable! I wear this sports bra to the gym all the time. 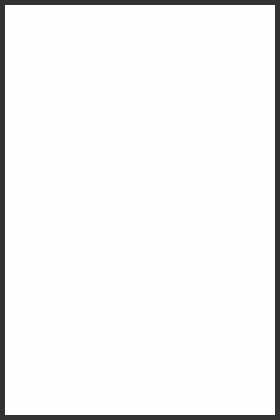 It's my go to option. They support it provides is perfect and the cute detail on the back adds a little pop to my outfit! Its secure and a nice fit. I love this sports bra. It holds the girls down and picks up my sweat so I do not feel drenched while working out. The straps do not push down onto my shoulders which makes it even more comfortable. Definitely get this sports bra, its work it. 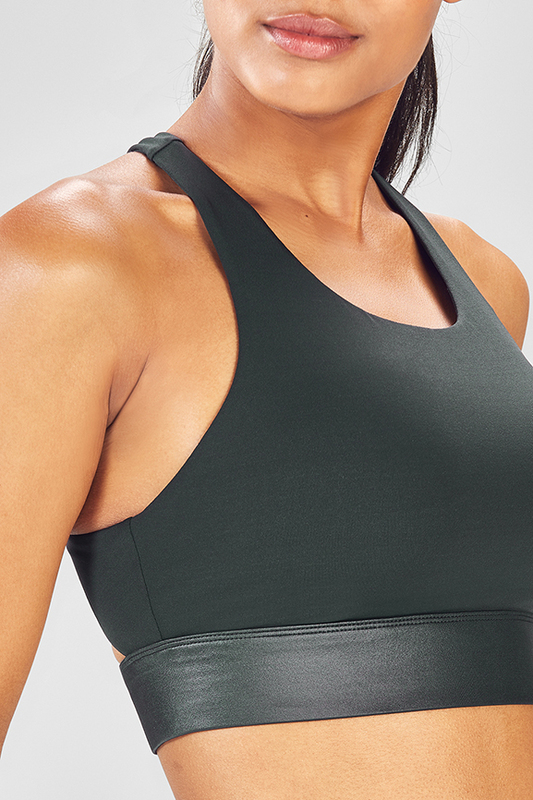 This sports bra is very comfortable, and it provides amazing support. These bottoms are super cute but feel a bit big. They slip when I walk and I am constantly pulling them up. 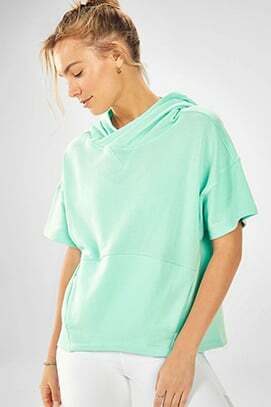 Will wear for lounging around the house but not for exercise. The fabric on these pants are different, but stretchy so I like it. 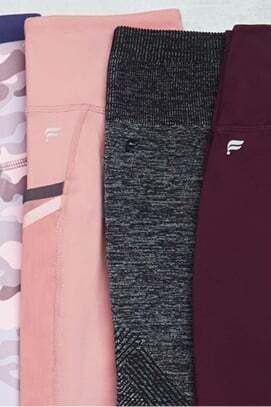 These are very different from the other styles of leggings at fabletics, they are sort of like stocking tights that you need to bunch up to carefully roll on your legs, and it is hard to get the cut-outs on the legs to line up symmetrically and get everything in the right spot. 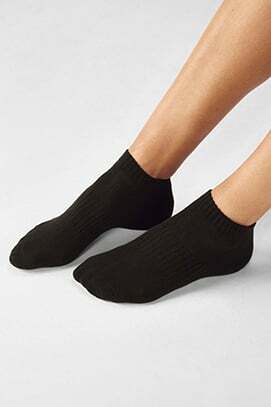 Once they are on, they are really flattering and cute. I didn't realize they did not have a Sean in the crotch, just not my style. A bit smaller than usual for the leggings I get (small) but still comfortable. My puppies feet do get caught up in the holes a bit.